The trail to Mushroom Rock is the least spectacular in Golden Gate. It should only take 50 minutes to complete the short, easy 1.5 km back-and-forth route. 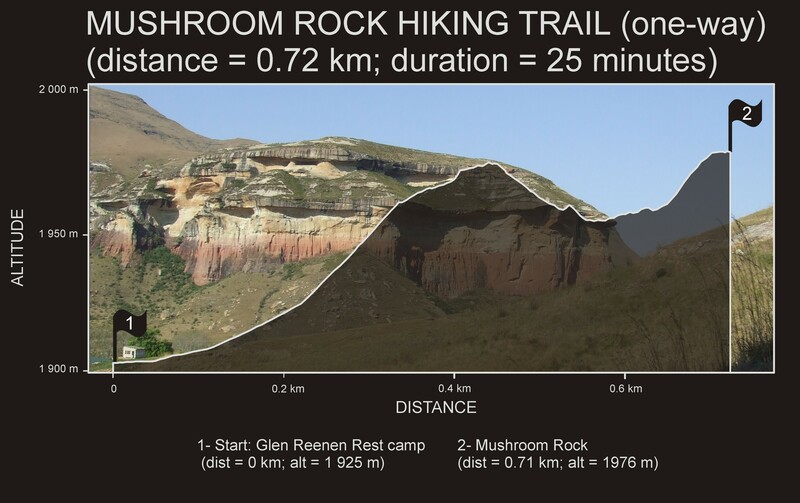 After setting out from the Glen Reenen Rest Camp the path takes you to the base of the striking, red-shaded Mushroom Rock. Unfortunately, the true beauty of the geological masterpiece is not immediately apparent from up-close. 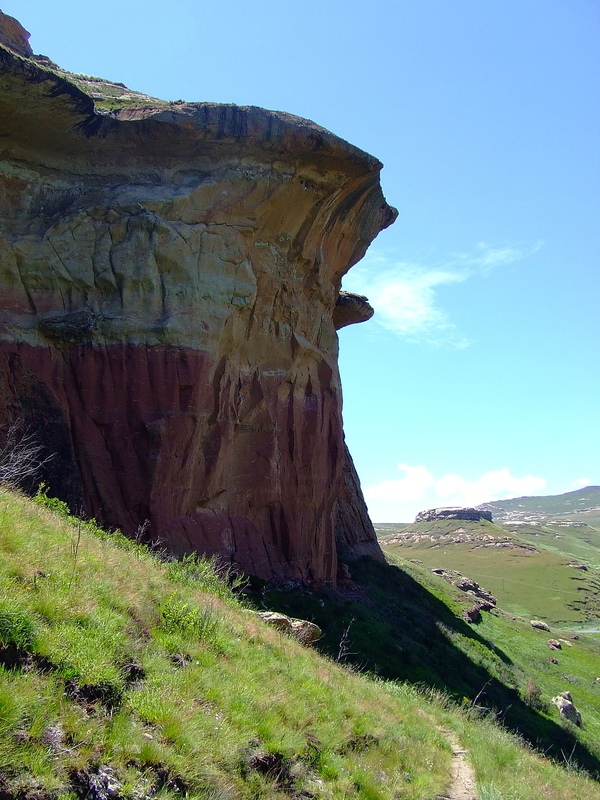 Instead, the best views of Mushroom Rock are those from the other side of the main road through the park: along the Ribbok Trail or the Zuluhoek (Afrikaans for Zulu’s Corner) vehicle lookout point. Nevertheless, the imposing cliffs are still worth a close-up visit, but it is probably best to incorporate your visit to Mushroom Rock with your trek up to Wodehouse Peak.